Effortless image sharing directly from the table. 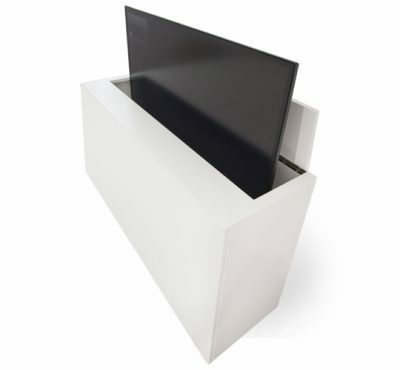 Hide or remove displays whenever necessary. 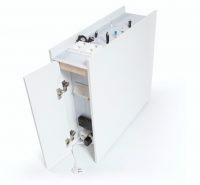 Connections and electricity directly into the table. Offer a chance to charge electrical devices. 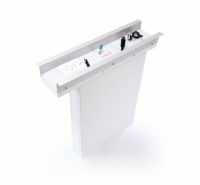 Presson’s innovative presentation furniture have been designed to put a finishing touch on the rooms and tables so that all connection cables and electrical outlets are easily available and remain neatly in place after use. 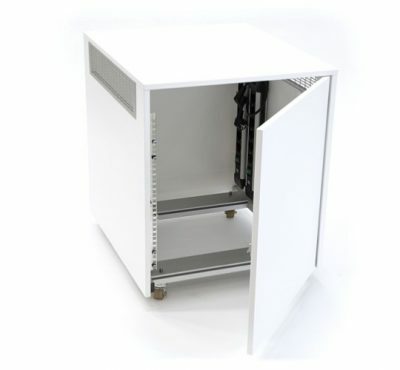 The furniture can be installed in its place or mobile. 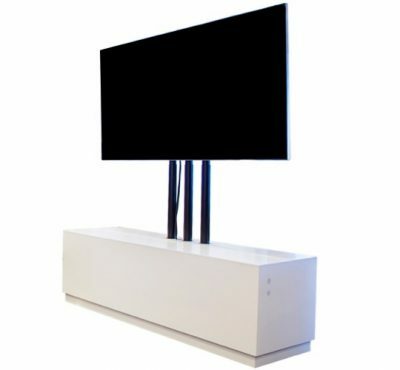 Our display furniture will help you put a finishing touch on all display technology installations. 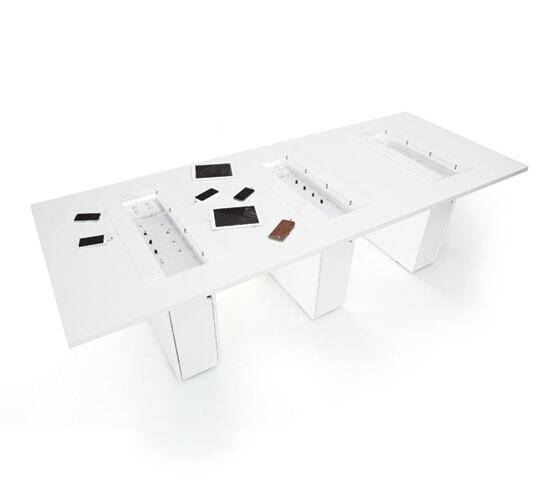 Displays need to be placed in meeting rooms in a location that will attract everyone’s attention, and integrating them to the furniture will always look impressive. 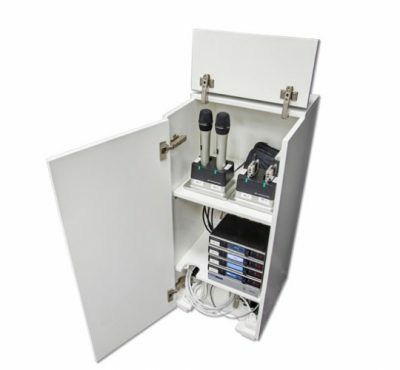 Our design focuses particularly on finalizing the cabling solutions and the uniform conceptualization of meeting rooms, even if the appearance of the rooms varies. 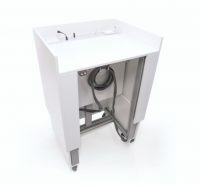 Our stylish tables include a unique Presson Interface cable interface system, which ensures that all essential connection cables and electrical outlets are easily available. 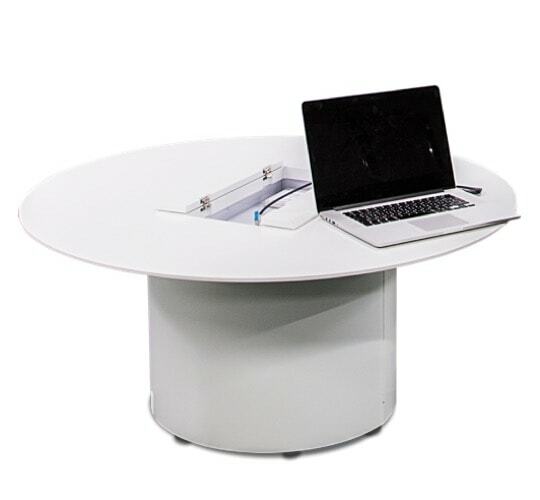 Our tables are suitable for multifunctional conference rooms, comfortable meeting locations, adjustable areas and open office areas. 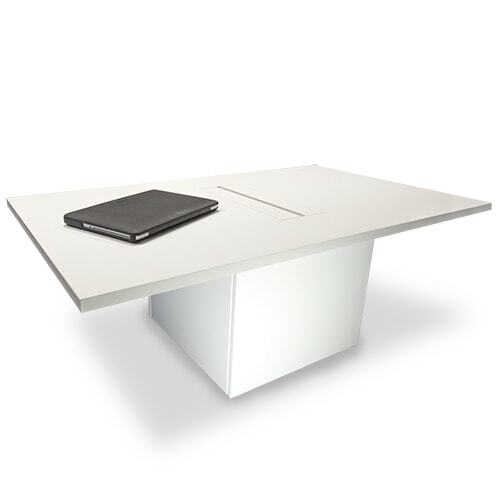 Most of our tables are perfectly compatible with Presson’s display furniture. 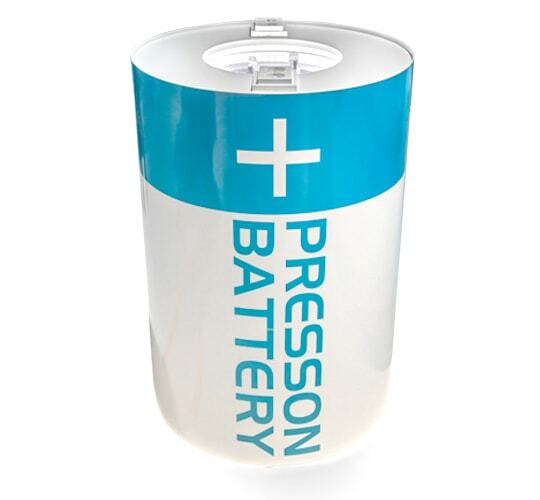 Presson’s charging stations are suitable for offices, customer service stations and lobbies. The stations enable people to charge their electrical devices without their own charge cables. 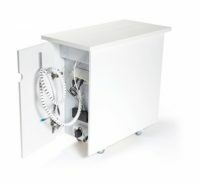 Charging stations are a thoughtful way of paying attention to your visitors. Simple, efficient and readily available! 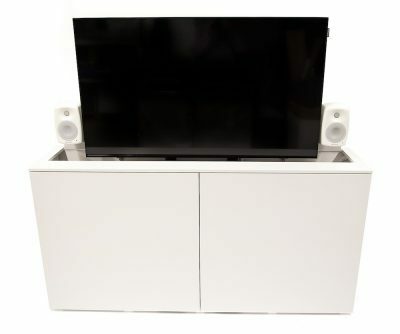 Thechnology in public areas or meeting rooms can be hidden inside our AV furniture whenever they are not required. 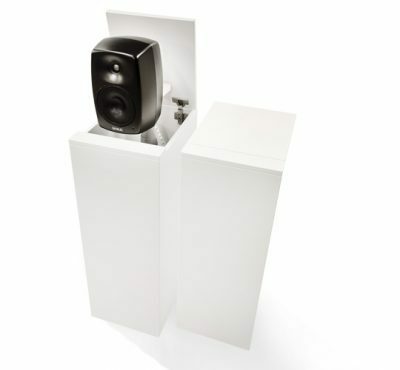 The furnishings blend in discreetly in the interior design style and thanks to Presson’s solutions, fixed installations and rack attachments are no longer required.